Buzzflash Headlines - Creative Networks Protocol Inc.
Buzzflash Headlines is a great example of our Joomla! Lifeline Program in action. We helped them get the most value out of their Joomla! CMS and trained them to Do More with it. 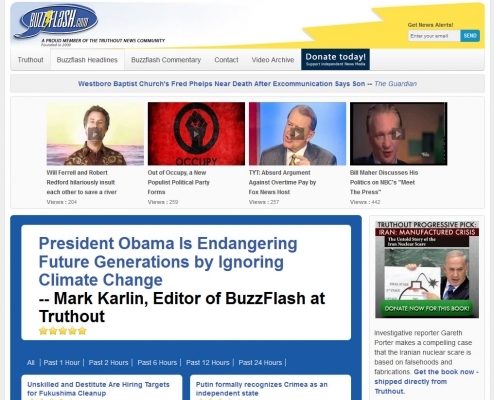 The two news information channels of Buzzflash Headlines and Buzzflash Commentary sites became a viral online sensation in 2000 as it began reaching millions of visitors. They presented an alternative perspective on often neglected news and information to an audience hungry for truthful journalism. 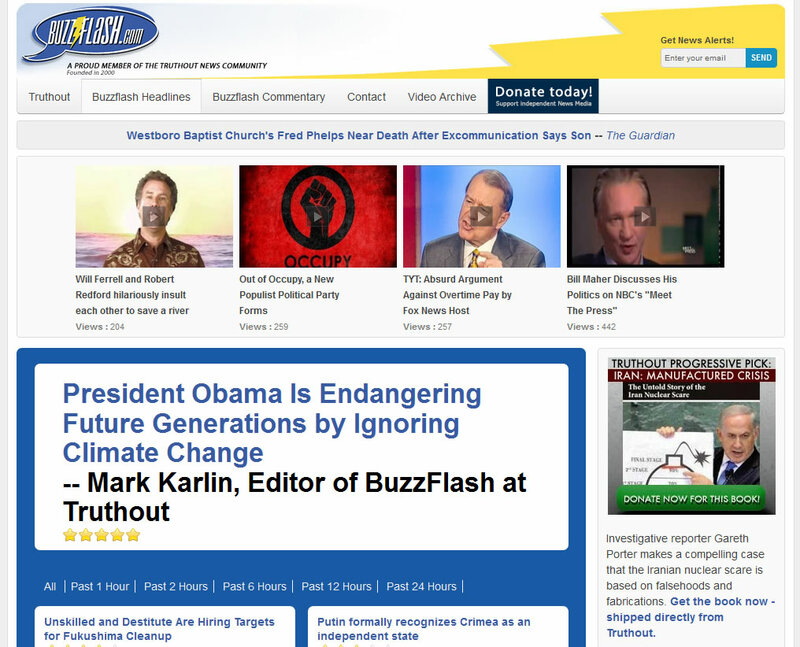 The Buzzflash news team lead by Mark Karlin quickly gained a track record of helping viewers connect to the most topical alternative headlines not always covered in mainstream media sources. They connected viewer with quick access to blog articles, videos and headlines from around the world, acting like a watchdog and research group for monitoring a variety of sources and then consolidating this and making it available at a single source. 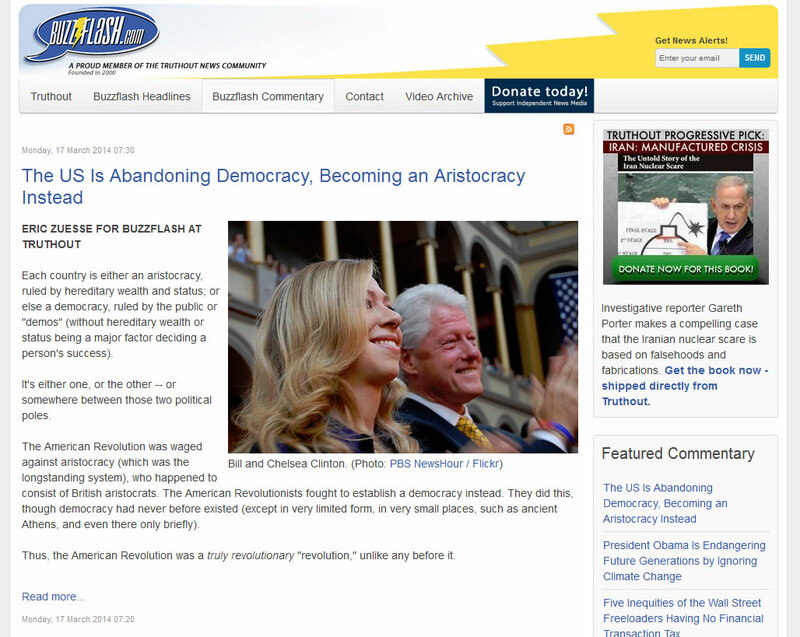 In 2004 Buzzflash Headlines grew to have over 4 million visitors per month. This number has declined a bit over the past few years but the editorial team is ramping up for some new life in this great portal concept. In August 2010 Buzzflash.com merged with the Truth Out news organization in an effort to reorganize and reach out to the like-minded readers of their communities. Though the Buzzflash portal has had a couple minor face lifts over the years, until this launch, they had been using a technology platform nearly 14 years old. While tried and true it was time to build a platform for which they could grow with the current trends and demands of a fast paced information generation. The new site has kept all of the great features the readership appreciates but is now using the latest version of the Joomla CMS as an engine to manage and deliver their content. By leveraging the Joomla CMS, the Buzzflash team can now take advantage of improved security and a responsive design so viewers can access content directly in their desktops, mobile devices and tablets all from the same platform. In addition to the standby features that Buzzflash have grown to love, users can now rate headlines. Combined with clean new design elements this powerful Joomla platform will help spark the Buzzflash community and pick up some well-deserved enthusiasm.